From the High Holyday liturgy: "Our Father, our King, foil the plans of our enemies." My father, as a boy in the West End of Boston in the 1920’s, said that this prayer drew on heavy emotions. He remembered the sobbing. It was then in the service that letters from Europe were read aloud to tell everyone who had been killed in recent pogroms in Poland and Lithuania. .
For me, a difficult moment of Unetanneh Tokef occurred on Yon Kippur in 1973 in Israel. As that prayer was chanted, an IDF officer tapped the shoulder of a fellow sitting three seats away, to tell him that he was being called to war, which would break out in a matter of hours. The sight of the young man removing his Tallit (prayer shawl), kissing his ten year old son, and running out of the synagogue to the jeep that awaited him will always be in my mind. This year, Yom Kippur was observed with new life threatening challenges. The prestigious researcher, Dr. Max Singer, recently published a study which must not be ignored.This study shows, for the first time, that the Hezbollah terrorists to the north of Israel have acquired thousands of new precision missiles, which can hit anywhere in Israel, aimed at selected targets, as opposed to earlier limited strike capabilities. These missiles can target the refineries or ammonia plant in Haifa, the power station in Ashkelon, the Peres nuclear facility in Dimona or any hospital in the country. And they may just hit their targets. During the last round of missile attacks, in summer 2014, Arabs fired an estimated 4700 missiles. 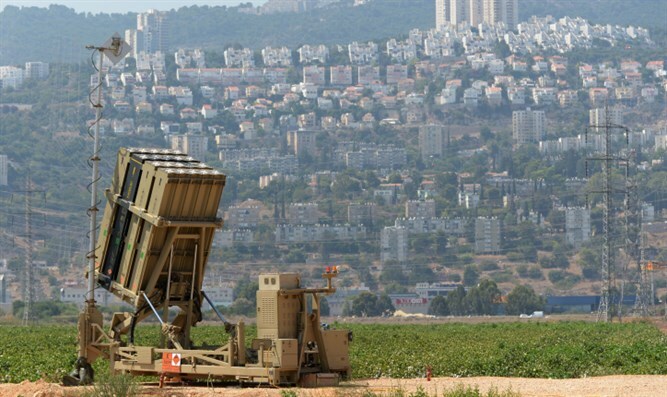 Iron Dome only intercepted 735 of them. Of course, many of those not intercepted fell in open areas and were not aimed at because the Iron Dome is equipped to extrapolate the trajectory of a missile as it is launched. Still, not the best batting average. If Arabs aim these new precision missiles at Israel, launch them and hit any of their targets, the lethal consequences will be unprecedented. And Israel will hit back. The response from Israel will be immediate and it will be devastating, in an attempt to close off the sources of fire. The way that Israel's Arab neighbors in the north have planned it, this will result in thousands of dead civilians, especially children. The response abroad to an Israeli counter attack in the north is not hard to imagine. Violent demos against Israel will occur around the world, backed by the new Islamist presence in the West. Protesters will carry pictures of dead children and accuse Jews of genocide. The north is not the only place where an imminent lethal threat lies. Over the past few summers, upwards of 50,000 UNRWA students have been trained in live weapons training. UNRWA children are being trained to fire missiles and launch total war for their "right of return by force of arms" to the homes and villages of their great grandparents and grandparents. Watch them in training. See the determination on their faces. Watch the robotic look on the face of each child soldier whom we interviewed. Generations of Arab children in UNRWA schools have not only been trained to hate. They have been trained to kill and to die in the process. There is no training of the Israel Defense Forces on how to prepare to fight and kill child soldiers. Nor is Israel ready for the consequences, across the globe, when signs and headlines will shout that "Israel kills refugee children". The Palestinian Security Forces will not remain silent at the time of the outbreak of hostilities. Established 22 years ago under the aegis of the US and the UK, the PSF has waited for two decades to launch attacks against the "illegal settlements" defined by Abbas at the UN as any area conquered by Israel Defense Forces, following both the 1967 and 1948 wars. In other words, the PLO concept of targeted illegal settlements includes Judea, Samaria, Jerusalem, the Galilee, the Negev…and more. If the outgoing US President will indeed urge the UN Security Council to meet in special session and declare Israel's Jewish communities beyond the 1949 lines as illegal and criminal, the PSF may now have international sanction to launch a low intensity war against Israel's "settlers", from Beer Sheva to Jerusalem. The PSF will be able to rely of the effect of the new war education curriculum that has been indoctrinated in generation of students of the PA/UNRWA schools. The 1,658,000 Israeli Arab citizens will not sit in silence when these hostilities break out. The flagship NGO of the Israeli Arab community, Adalah, does not hide its full identification with the continuing Arab war against Israel. Meanwhile, there is a European Strike Force in place , waiting for 15 years for the order to deploy troops to establish the PLO state, with or without the Israel's consent. .
On December 1, 2003, when I covered the Geneva Initiative, MP Graham Watson, a British member of the European Parliament unveiled the planned role of the European Strike Force in the founding of the PLO state. 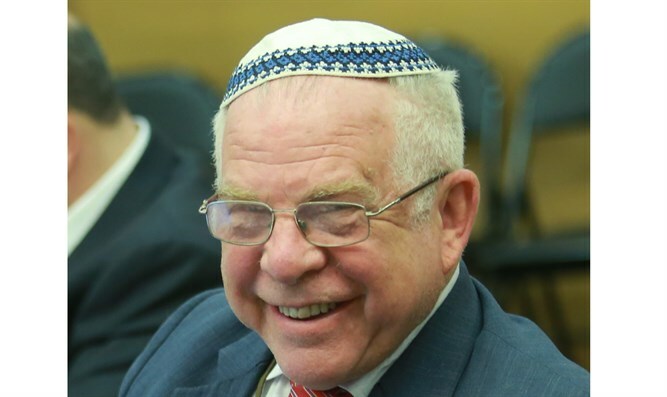 Speaking on the record, as the head of the European Parliamentarian Delegation to the Geneva Initiative, Watson, described the planned armed international force that the U.S., Canada, the EU, the Scandinavian countries, Japan and Australia plan to dispatch to establish an international force that would actively prevent the Israeli army from pursuit of terrorists who escape into “Palestinian territory” since that international force is, according to the Geneva Initiative, designed to protect the “integrity of Palestinian territory”. Will an Obama initiated UN November scenario provide the background for the ​​European Strike Force to act? Time will tell. It would be an understatement to say that “how many will pass from the earth and how many will be created; who will live and who will die…” is on the minds of people in Israel this Yom Kippur.